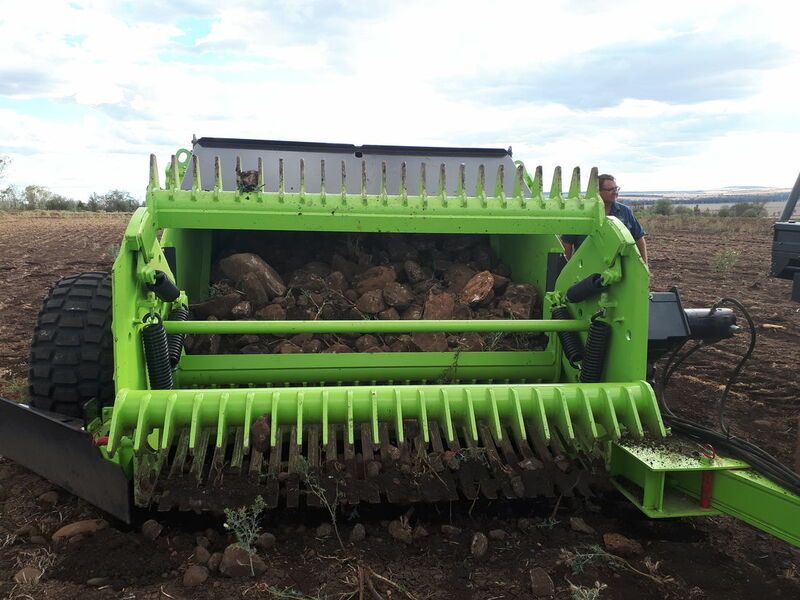 The Ultimate Rock Picking Machine! 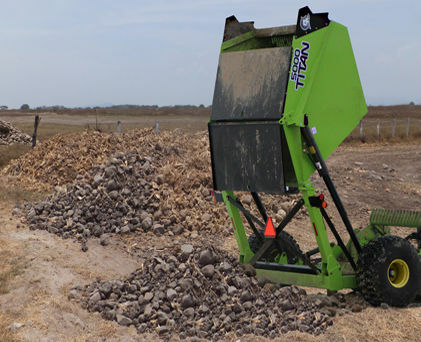 The reliability of Schulte rock pickers is the result of over 50 years of experience in the rock removal field. Top quality workmanship and materials combined with rugged, heavy duty construction result in years of trouble-free service. The 5000 Titan is the pinnacle of development over the last 50 years. 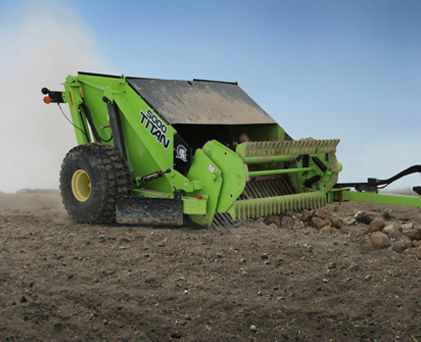 The 5000 Titan employs separate grate and dump cylinders. 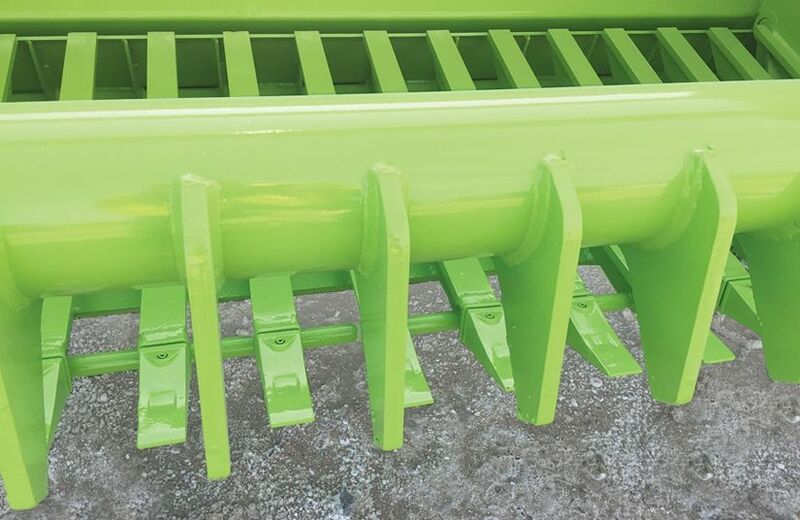 The unique dump cylinders maximize lift geometry and produce lower loading of the frame during dumping. This unit also features a floating grate, adjustable rock deflector and larger, heavier duty springs and batts. The 5000 Titan features a zero-maintenance heavy duty Magnaloy Hytrel Flexible Coupler used between the motor and reel shaft. 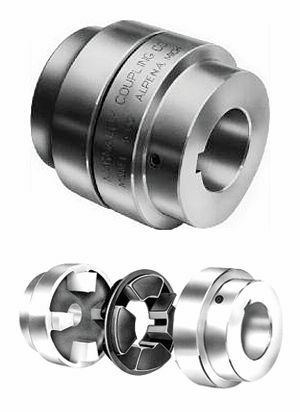 The coupler helps to extend the life of the motor by reducing loads on bearings and shafts. 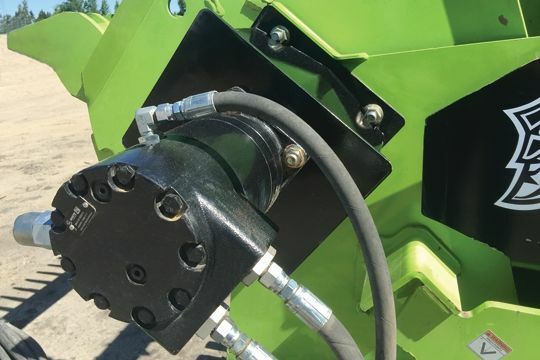 The coupler solves the alignment issue with a direct drive motor to ensure smooth performance for years to come. Spend more time picking and less time dumping. Super wide 2133 mm (7') grate with wide or narrow spacing options. Huge 3.82 m3 (5 cu. yd.) bucket (actual stone picking capacity). Big 22.5L x 16.1 14 ply tires for flotation to handle the loaded weight. 1981 mm (6’ 6”) tall dump height for larger piles and truck loading. 450 BHN Steel teeth and T-iron tops for extra-long life. Greater range of grate movement (lower picking, and higher lift). Heavy Duty Magnaloy Hytrel coupling for Direct Drive Motor. Required tractor hydraulic capacity at 4 remote outlets, 45.4 L/m (12 GPM) @ 15168 KPA (2200 psi), closed centre hydraulics with oil dump line fitted to tractor. The 5000 Titan features extra heavy duty batt springs. 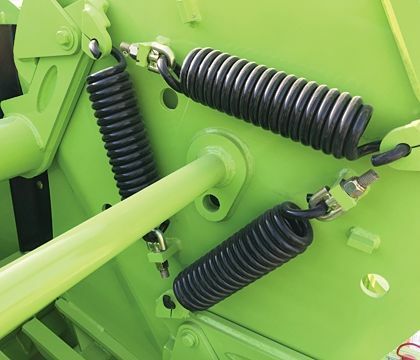 Heavy duty direct drive hydraulic motor handles the toughest conditions. The Magnaloy Hytrel Coupling transfers power from the motor to the batts without fuss. The batts on the Titan are the toughest on the market. The pickup teeth are replaceable in the event of breakage. This 5000 Titan is on its first load being operated by its new owners. 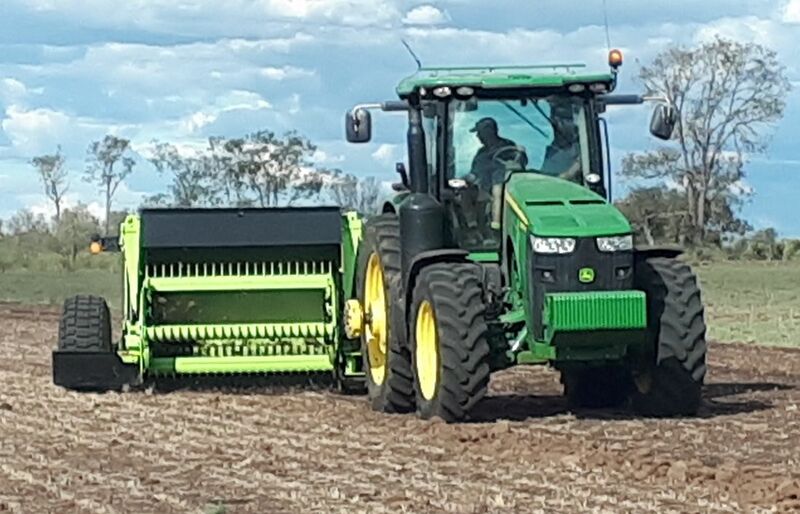 As part of our normal delivery service, we connect the machine to the owners tractor and teach the owner how to operate the machine.